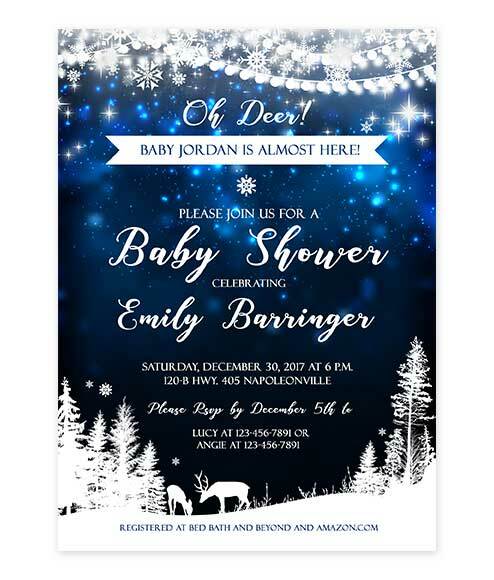 A Starry Night Galaxy Deer Baby Shower Invitation that is stunningly beautiful. A starry night sky background is intertwined with hanging sparkling lights and a winter wonderland landscape that holds a buck and doe in the woods. A Unicorn Gold Glitter Purple Watercolor Baby Shower. 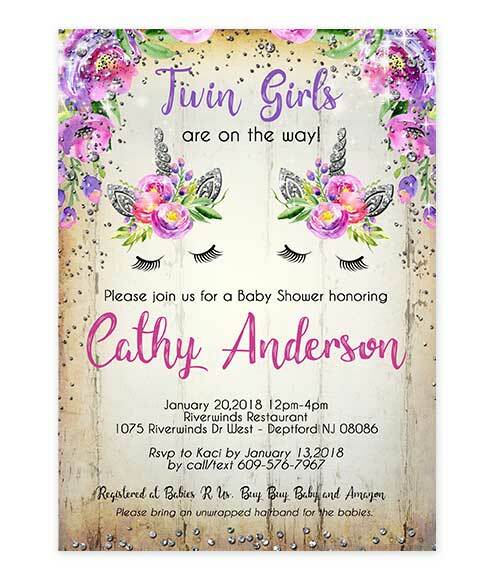 This party invitation features a purple ombre watercolor background with flowers overtop. A unicorn face with eyelashes and horn grace the center of the page. Faux gold glitter dots can be found throughout making this a one of a kind magical unicorn invitation! A Unicorn Gold Glitter Twin Baby Shower. This party invitation features a rustic wood background with flowers overtop. A unicorn face with eyelashes and horn grace the center of the page. Faux gold glitter dots can be found throughout making this a one of a kind magical unicorn invitation! 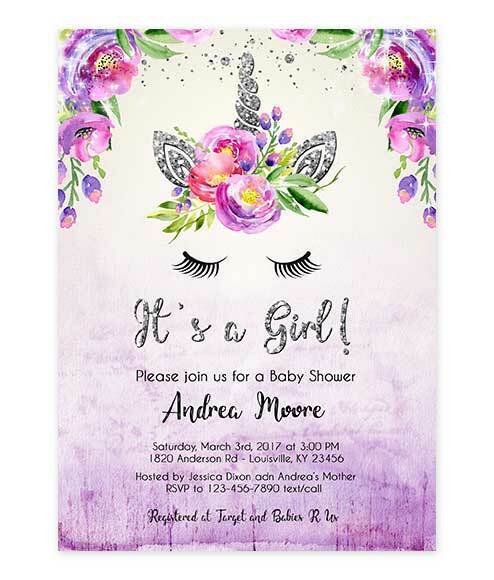 A Unicorn Silver Glitter Baby Shower Invitation. 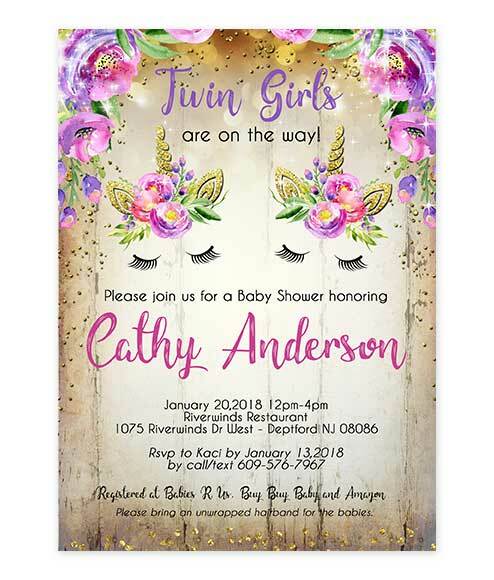 This party invitation features a purple ombre watercolor background with flowers overtop. A unicorn face with eyelashes and horn grace the center of the page. Faux silver glitter dots can be found throughout making this a one of a kind magical unicorn invitation! A Unicorn Silver Glitter Twin Baby Shower. This party invitation features a rustic wood background with flowers overtop. A unicorn face with eyelashes and horn grace the center of the page. Faux silver glitter dots can be found throughout making this a one of a kind magical unicorn invitation!